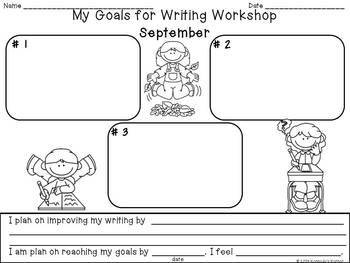 Goal Setting in the Reading and Writing Workshop! Goal-setting is a powerful technique for helping a student develop a solid foundation for future planning and organization. By knowing what he/she wants to achieve in school and in life, a student may know where they want to concentrate and what to improve. 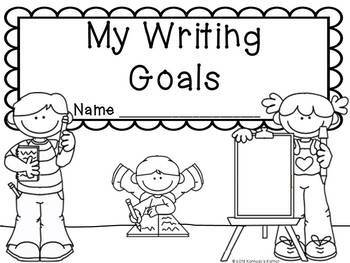 If students can set well-defined goals, they can measure and take pride in the achievement of those goals. However, one of the most important tasks of the teacher is to assist the student in setting short-term goals and long-term goals. Aspiring to achieve long-term goals gives the student short-term motivation. An example of a long term goal might be to get an A in Writing. 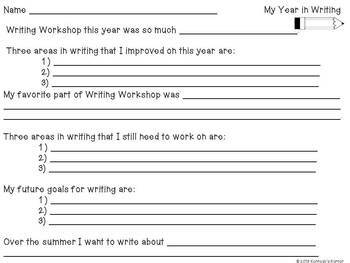 I have included various examples of goals that your students may use as a guide, however these can be adapted or added to – to meet the needs of your learners. 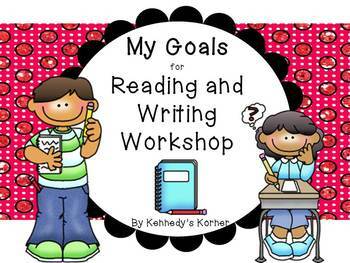 A year long journal for READING and WRITING workshop is included. Check out the PREVIEW to see sample pages.